IIEP-UNESCO will be at the Global Education Meeting, to be held in Brussels, Belgium from 3 to 5 December 2018. The Global Meeting is convened by UNESCO in its mandated role as lead agency and coordinator of the Education 2030 Agenda, with the support of the Government of Belgium. The Meeting will review progress towards the global education targets and commitments in the 2030 Agenda for Sustainable Development. It will bring the global community together to take stock of progress and identify strategic priority areas requiring political guidance and intervention for the effective achievement of the global Education 2030 Agenda. IIEP’s Director, Suzanne Grant Lewis, will be present at the Global Meeting to chair the plenary session on the Regional Review of Progress Towards SDG 4 Targets and Commitments. Grant Lewis will also make a presentation on Equity Concerns in Household Investments to Education in the parallel session on Financing quality education for all: strategies to invest in education equity, organized with OECD and the Global Partnership for Education. Grant Lewis’s presentation on household contributions to education will draw on IIEP’s work on National Education Accounts, done in collaboration with the UNESCO Institute for Statistics. This project explored how countries can get a complete picture of who pays for what in education by improving the tracking of financial flows in education. The project entailed the development of an NEA in eight countries as well as the production of methodological guidelines to help replicate this work in other countries. The Global Education Meeting is the first of its kind since the adoption of the Sustainable Development Goals in 2015. It will focus on the need to reduce inequalities within and among countries, in and through education. It will also examine the links between education and the Sustainable Development Goals on Decent Work and Economic Growth (SDG 8), Reduced Inequalities (SDG 10), Climate Action (SDG 13) and Peace, Justice and Strong Institutions (SDG 16), paying particular attention to the issue of migration and forced displacement. Please click here for more information. Stay tuned for updates! 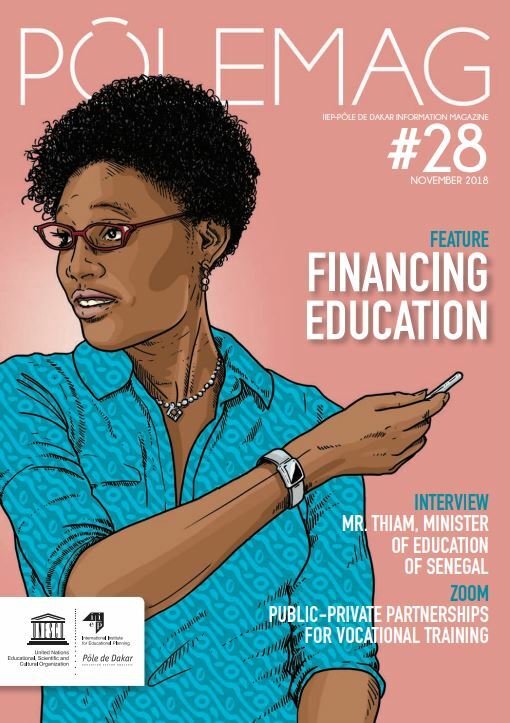 Read the latest PoleMag on financing!